Defenceman Mark Richardson says Great Britain showed great guts and determination to come from behind and beat Poland 5-3 at the World Championship Division 1 Group A on Wednesday afternoon. The Cardiff Devils defenceman reached a personal millstone as he became the ninth player to reach 75 caps for GB. 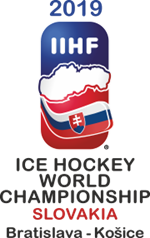 Britain were trailing 3-2 at the end of the second intermission before third-period goals from Brendan Brooks and Ben O’Connor, added to by an empty-net goal from Jonathan Phillips, secured Peter Russell’s side their second win in Budapest. “Poland are a great nation and we have some terrific battles against them,” said the Cardiff Devils defenceman. “We made it hard work for ourselves in the second period but we came back and secured a terrific win. Richardson assisted on GB’s opening goal against Poland and says it was a very special afternoon all round. “The most important thing was to get the win but it was great to reach 75 caps,” continued Richardson.